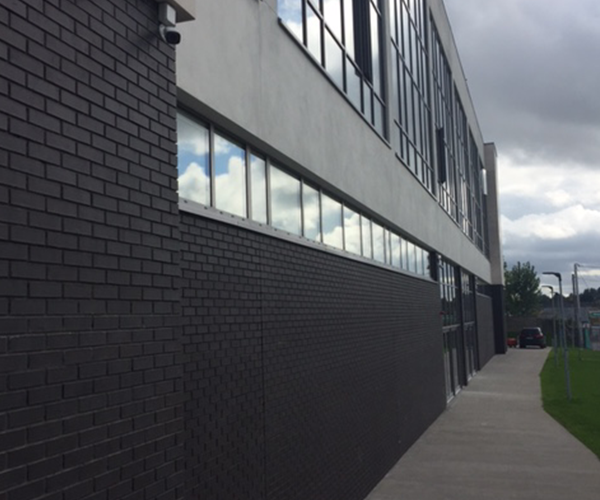 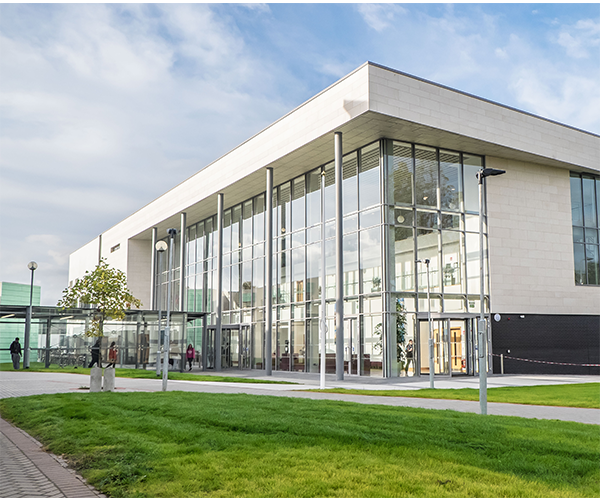 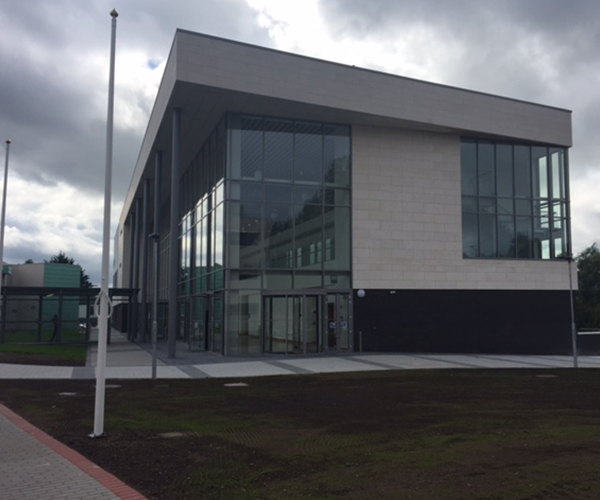 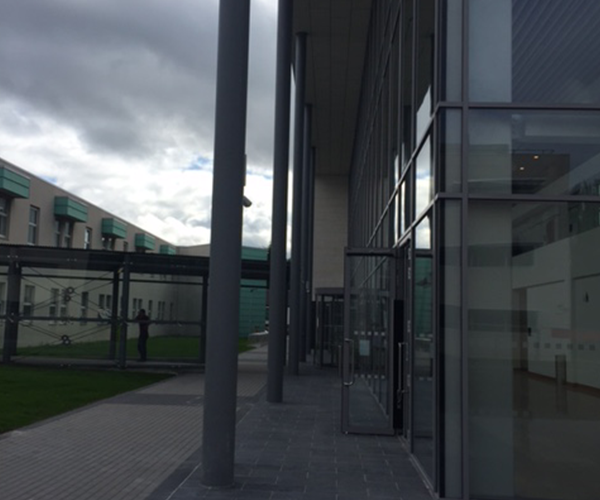 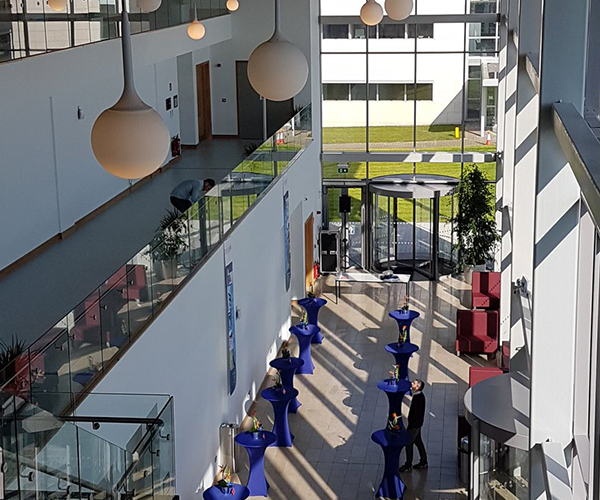 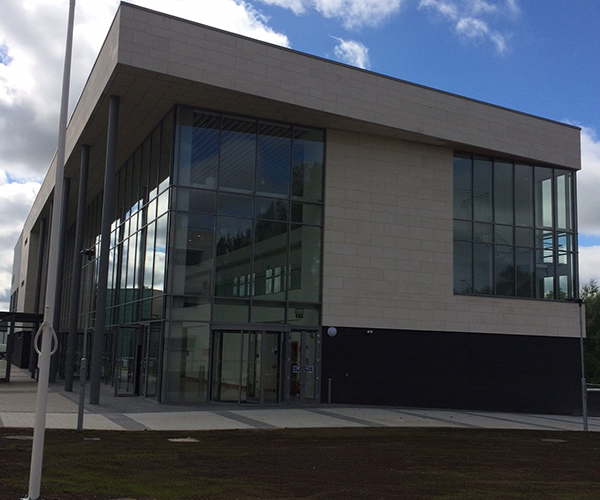 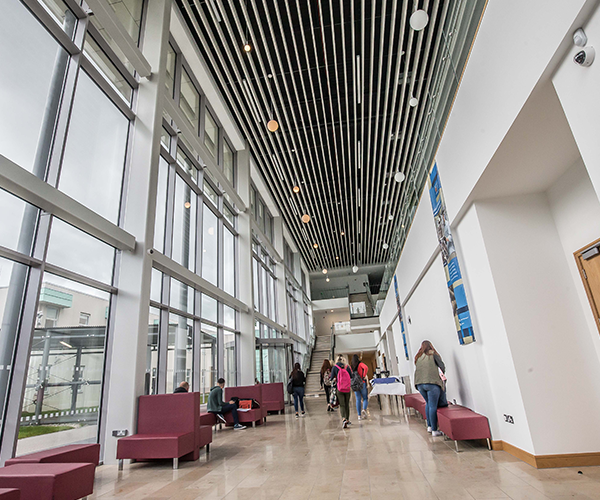 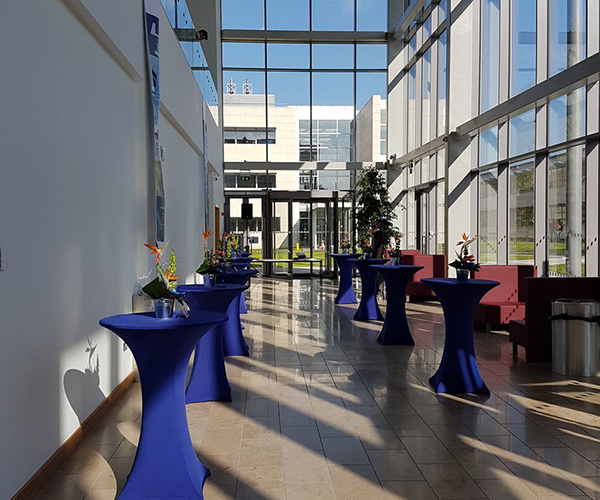 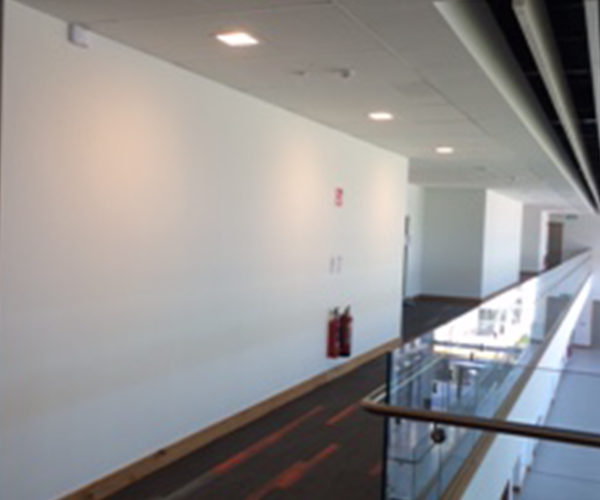 Architect: Reddy Architecture & UrbanismValue: € 6,000,000Location: CarlowDescription: The Institute of Technology Carlow was established in 1970 and now has almost 7,000 full and part-time students. 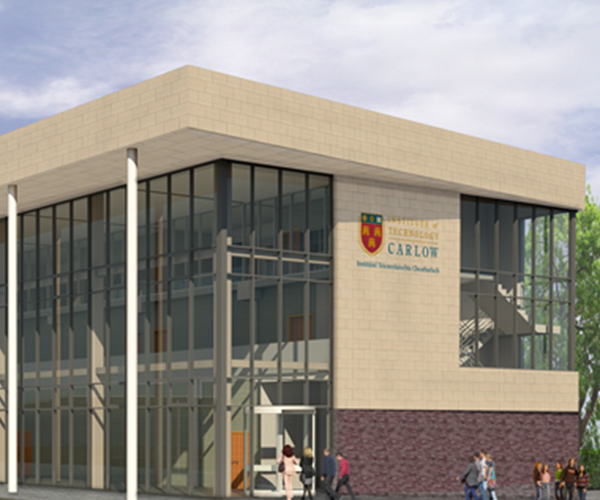 The project consists of the development of the new Haughton building. 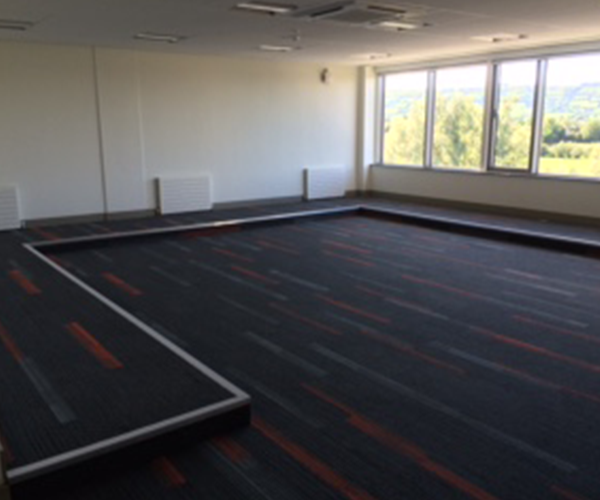 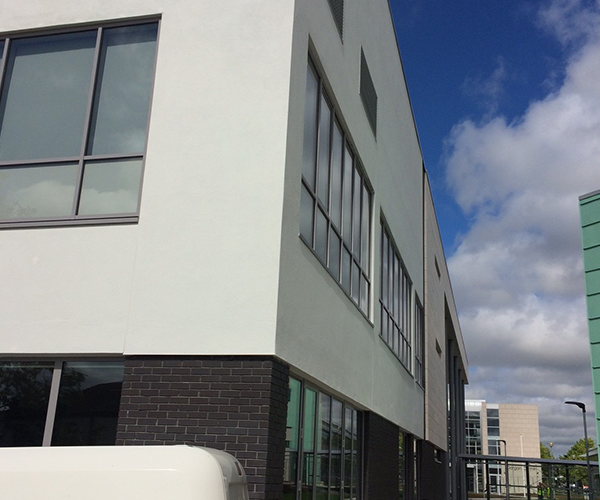 A three storey Learning & Resource Centre of circa 3,100m2. 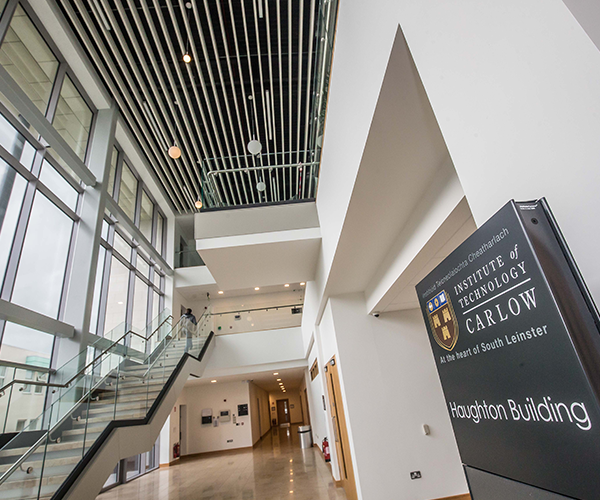 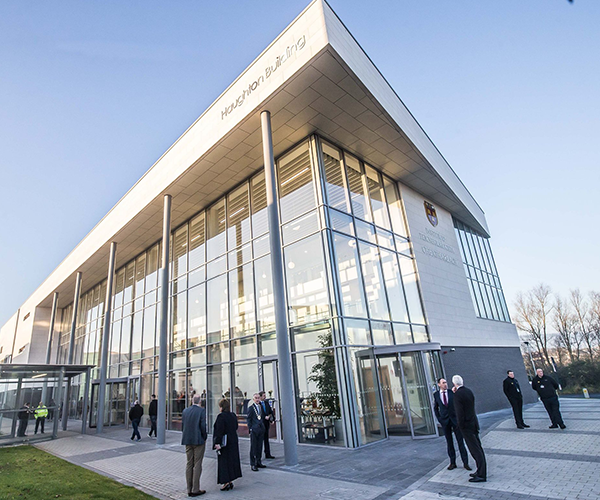 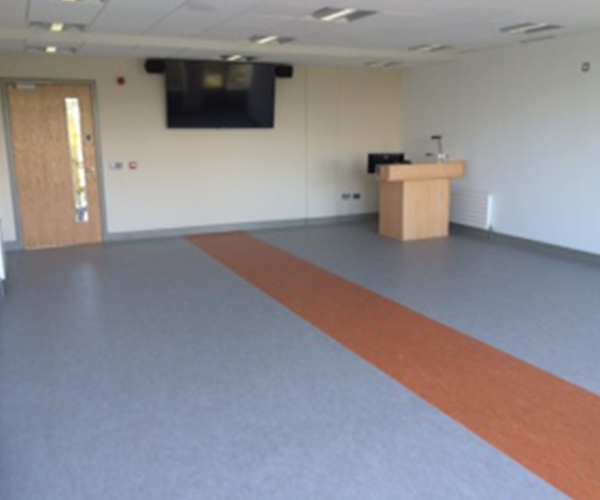 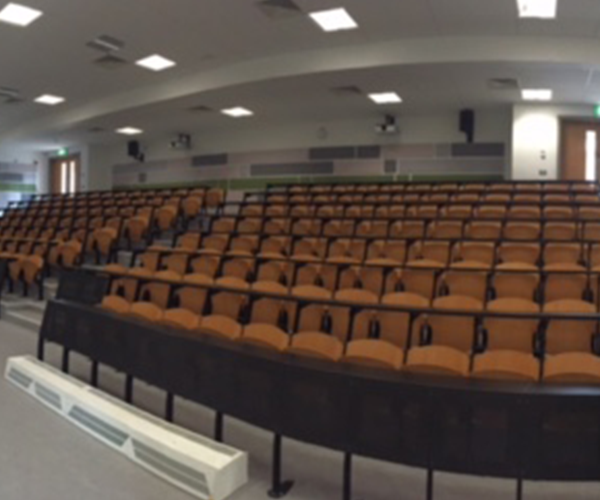 Accommodation includes lecture theatres, classrooms, project rooms, IT/computer facilities, staff facilities, administration and circulation space. 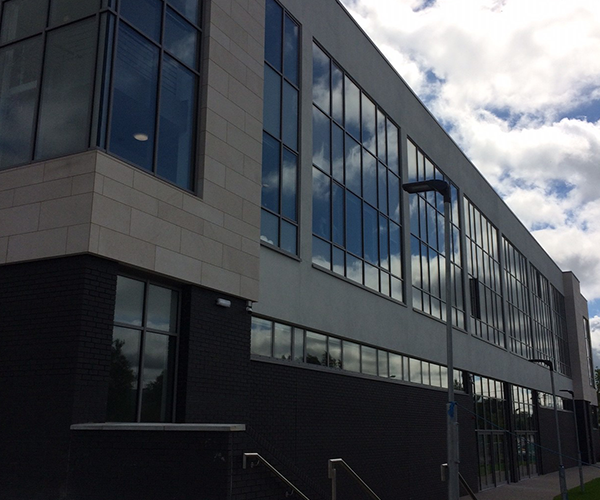 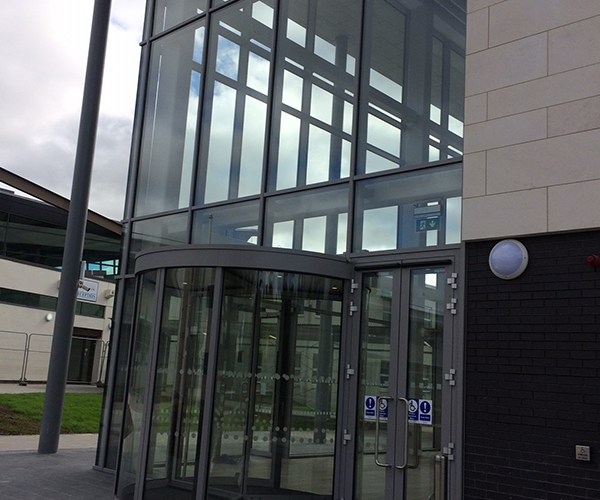 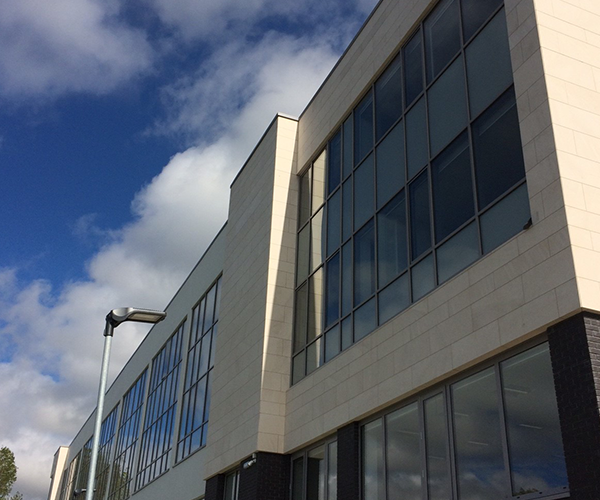 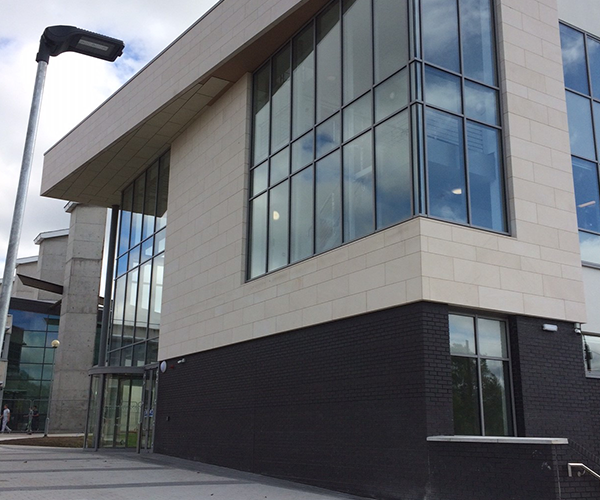 The project also includes ancillary external works including a new glazed link way from the new building to the current campus main entrance. 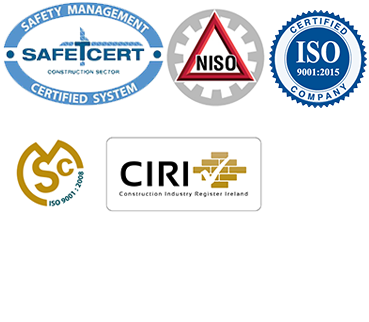 The project has been designed to achieve a BER Certificate A3 rating. 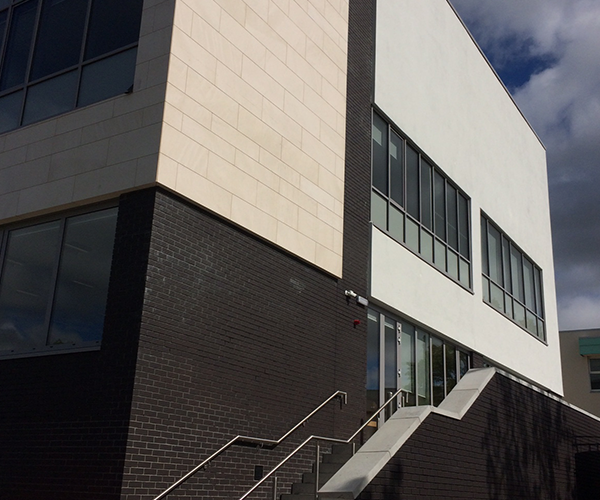 The Learning Resource Centre is a fully exposed reinforced concrete frame. 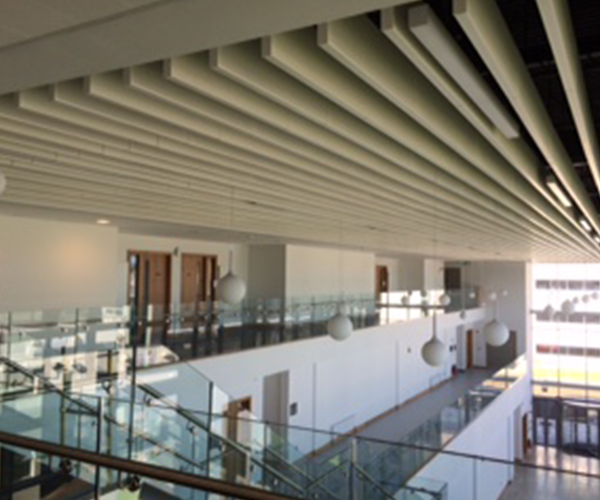 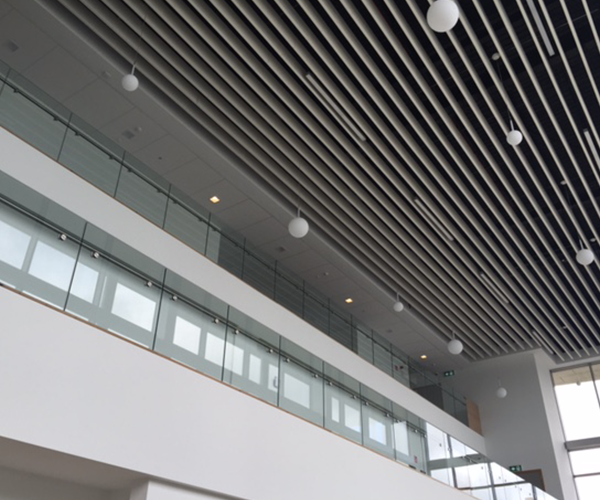 The central atrium space is three stories high with a plastered ceiling penetrated by circular roof lights. 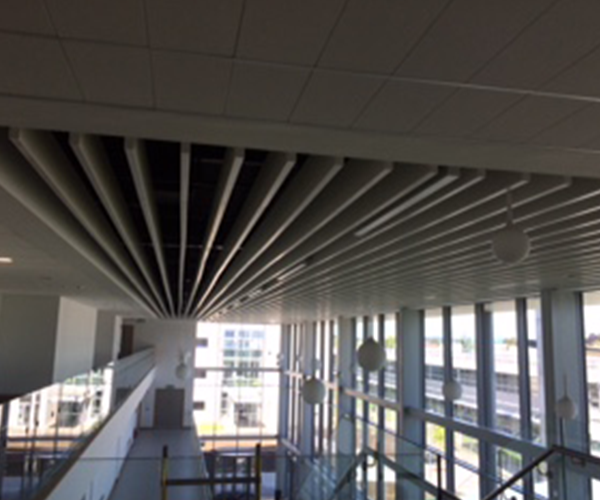 The primary aesthetic of the space uses the fine details of the concrete structure to express the structural significance of the construction. 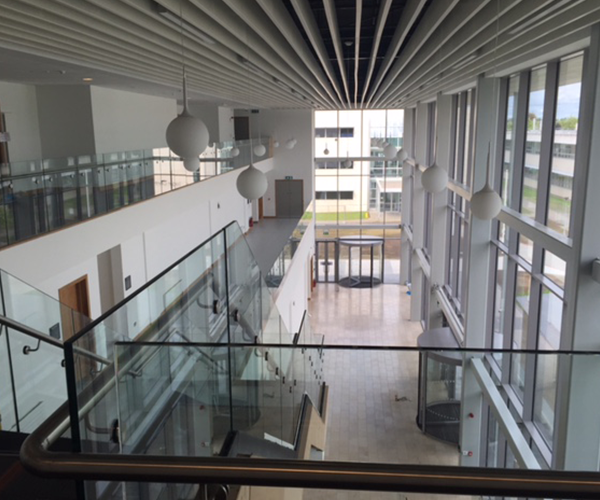 Internally the main atrium area is completed in limestone paving to both floors and stairs along with floating Linear acoustic baffles at ceiling level for noise control. 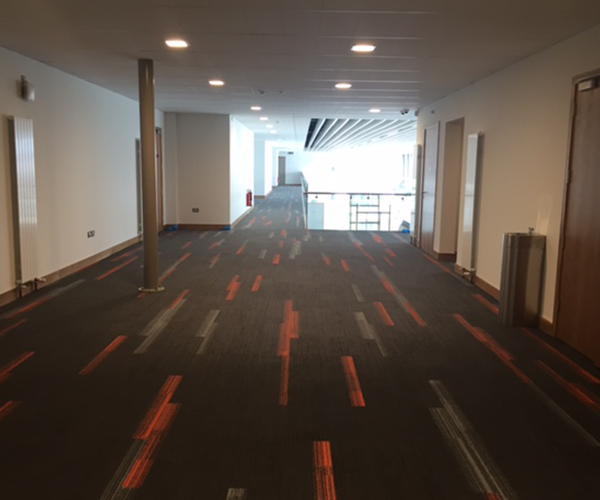 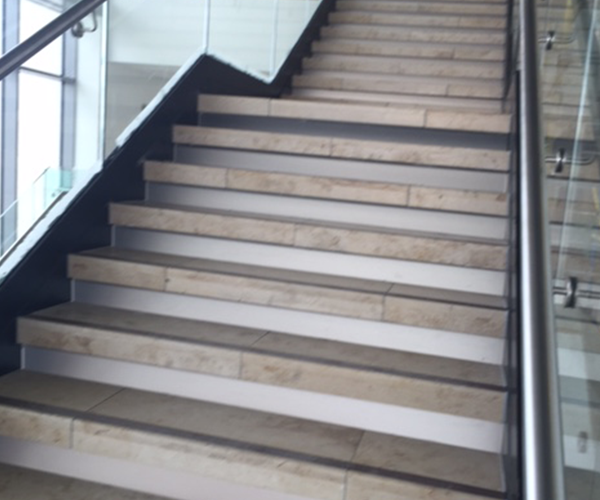 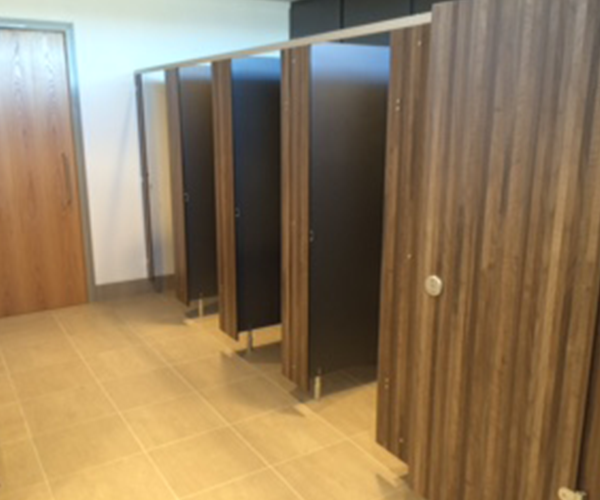 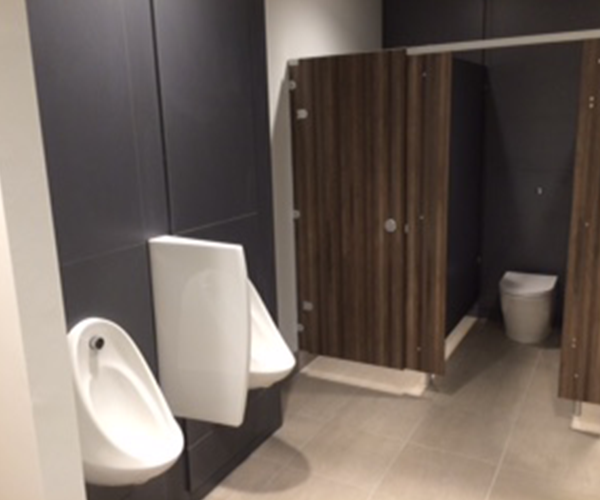 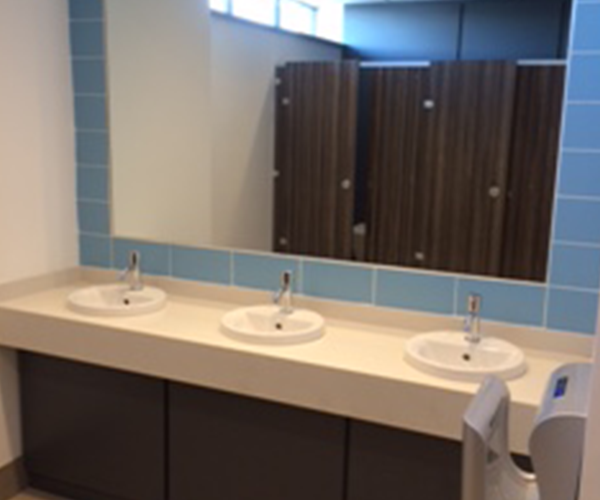 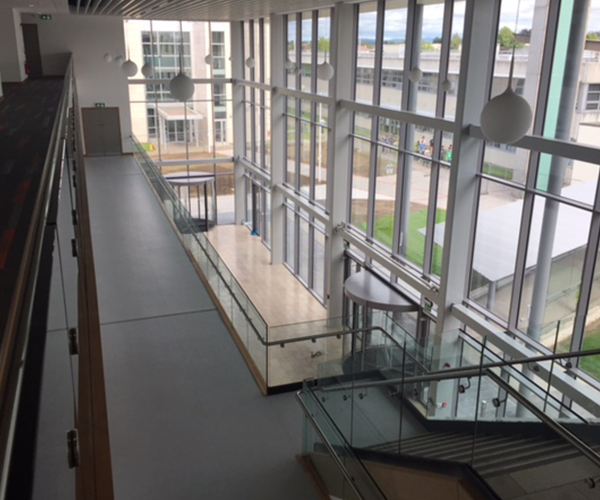 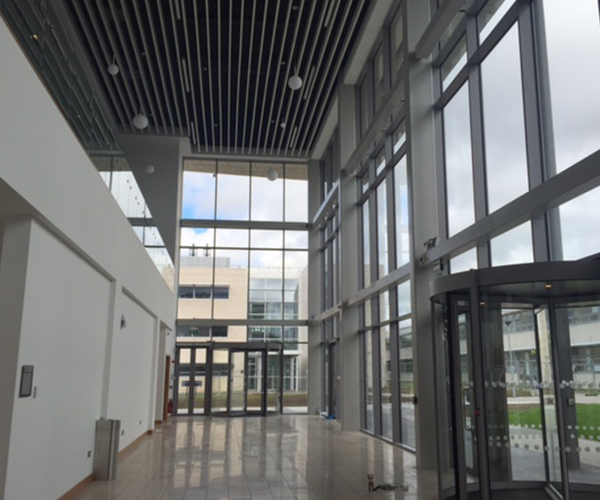 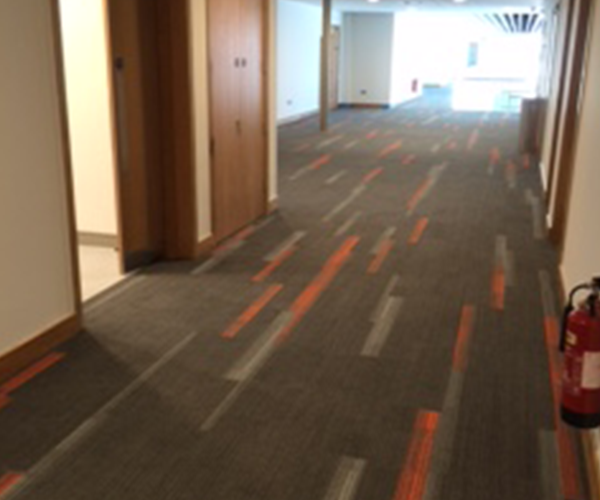 Hardwood joinery, stainless steel glass balustrading, suspended ceilings and Marmoleum flooring complete the main finishes throughout the building. 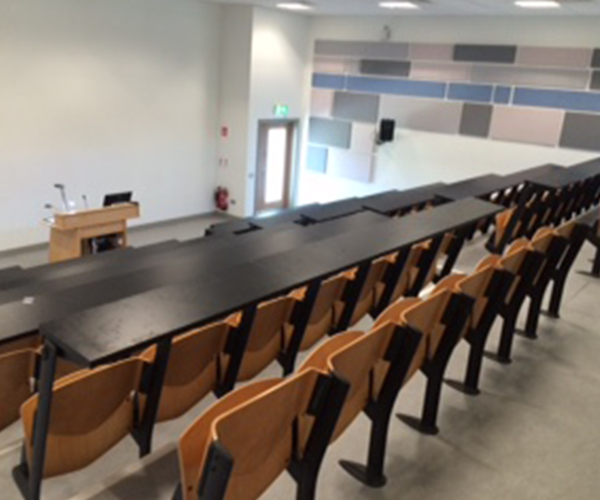 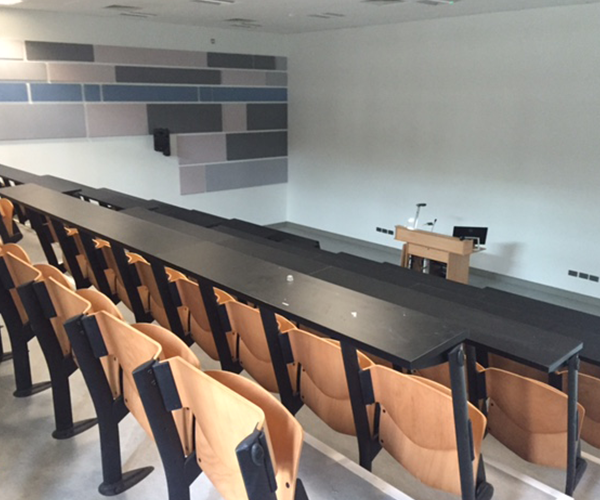 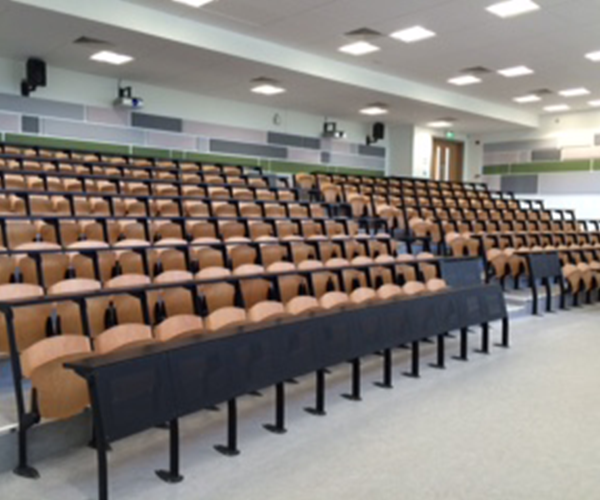 The specialized fitting of several hundred lecture tables and accompanying seating along with it specialized acoustic paneling complete the Lecture environment thus offering a high level of both comfort and acoustic performance to students and lecturers.